Day 18 of 365, a photo by Gordon McKinlay on Flickr. 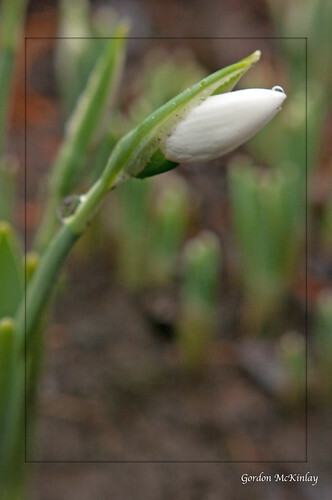 It’s the middle of January and the snowdrops are beginning to brave the cold. It’s a cold wet January so we haven’t really had the chance to get very far outside. At least these brave little flowers are beginning to sprout to remind us that it won’t be winter for ever. This entry was posted in Professional and tagged 2014, challenge, Flickr, January, journal, one a day, photoaday, photography, project 365 on 18 January, 2014 by Gordon McKinlay.